Enhance your kitchen with the Glacier PL3621F Farmhouse Single Bowl Stainless Steel Sink. 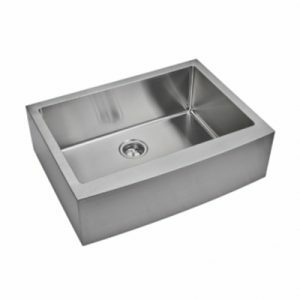 This farmhouse sink was made with 304 Grade stainless steel. Made with a satin finish, this sink is both classy and convenient. You’ll love how roomy this kitchen sink is. Whatever your needs may be, when you want to enhance your kitchen, there’s no better option than this farmhouse sink from Glacier. This high-quality kitchen sink was made with 304 Grade stainless steel and manufactured by Glacier, one of the best names in the industry. It is also available through Fiberpol for a competitive price, making it ideal for homeowners with a variety of needs. Shop Fiberpol today for the best sinks in Barbados!